WACHTEL, Marion Kavanaugh (1870-1954), plen air painter born in Milwaukee, Wisconsin, and daughter of an artist, she studied at the Art Institute of Chicago under Vanderpoel and in New York City with William M. Chase. For several years she taught at the Art Institute of Chicago and was popular in Milwaukee as a portrait painter. A commission from the Santa Fe Railway to paint scenes in their ticket offices brought her to California. Arriving in San Francisco in 1903, she became a pupil of William Keith. Learning of her proposed move to southern California, Keith suggested that she study with Elmer Wachtel. A romance blossomed, they married and lived in Arroyo Seco near Pasadena in the early 20th century. 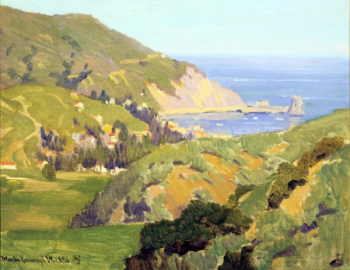 Her medium of choice was watercolor, but she began painting in oils after her husband’s death in 1929. 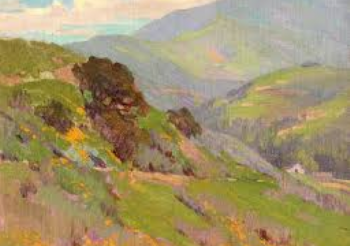 Wachtel was active in arts organizations, including the California Watercolor Society, Pasadena Society of Artists, the Academy of Western Painters, and the California Art Club. 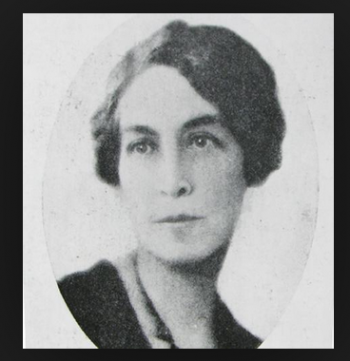 Marion Wachtel died at her home in Pasadena on May 22, 1954. This page was last edited on 3 June 2016, at 17:25.